Hey JangoMailers. We hope your Thanksgiving holiday treated you well! We thought it would be a good time to update you on the latest foodstuffs we've been coddling. What's that you say? Oh right, our email marketing software -- we made some new enhancements you should probably know about. You asked and we developed. 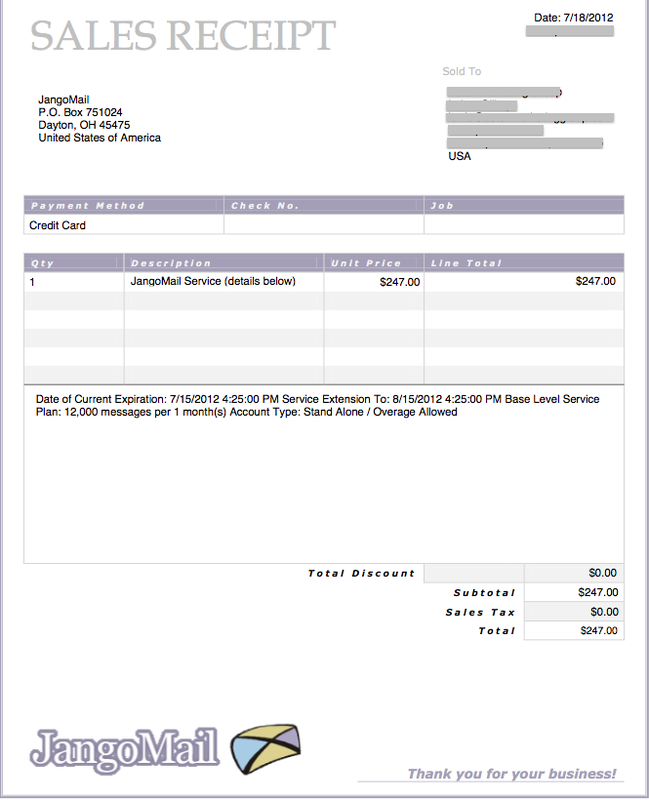 For every invoice you receive, enjoy the option to download a PDF version for your records. Click the pause button to pause your campaign. Did you press the send button on an email, only to realize seconds later that you made a mistake or you forgot to add something? It happens to everyone sometimes, even to the pros. Now we made it easy to pause a campaign immediately after you send it, so you can go back and make a change or cancel the campaign if you need to. 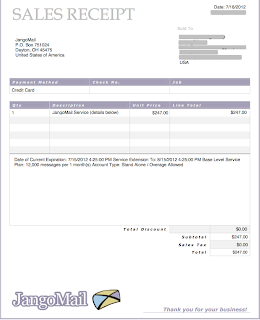 Because JangoMail is fast, you needed a faster tool. Make your changes, and click the play button to resume sending. To pause a campaign, click the pause button on the Message Status screen that comes up after sending. Once you pause, you can rest easy. Your message will remain paused until you resume it -- which you can do by clicking the play button or clicking the resume link next to the campaign under Reporting. 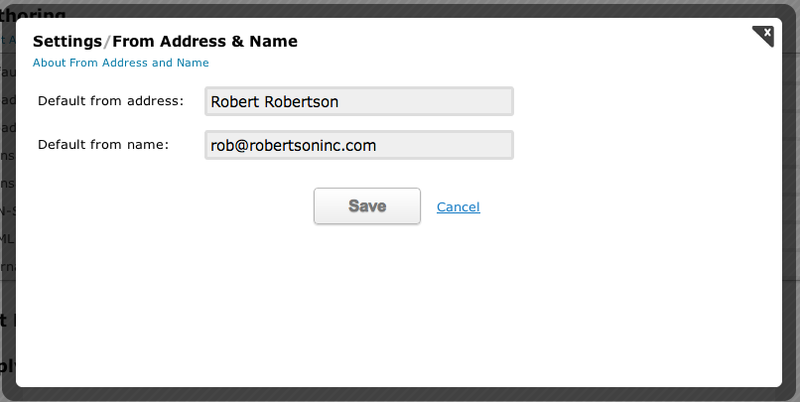 You can now specify a custom From Address and Name for any of your lists. If you do, whenever you send an email to that list, we'll automatically set the From Address and Name for you to the one you specified for that list. That's a time saver! 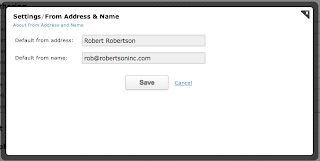 To specify a custom From Address and Name for your list, click the edit button next to the list you want on the Lists tab, then click on the List Settings tab and specify the name and address under the heading in there. Default Account From Address and Name. Under Settings --> Authoring, specify this new default to be applied to all broadcast emails-- that is, if the list you're sending to doesn't have a default From Address and Name specified for it. JangoMail will first use a list's default from address, then will use the account default from address if a list default is not present. This gives you the most customizable experience! Simultaneously, if you don't like to use tracking, it will save you just as much time by defaulting to whatever settings you last utilized. We have been fixing a lot of little bugs and making small changes and adjustments to make the UI as easy to use as possible. You may have noticed some of these things if you visited the site recently. There are a lot more on the way too. Internally, we just laid out a heaping new list of messages features we plan to implement before the end of the year. Get excited because some of these are pretty neat! We'll keep you posted with more very soon. For now, Happy Holidays, Happy Emailing, and thanks for sending with us! As always contact us with any requests or feedback.